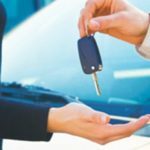 Q: I regularly use valet car parking services and while I’ve not had a bad experience, several acquaintances have had their vehicles damaged, property stolen and even the car disappearing. What are some security tips to keep in mind while using the service? — Before even considering the use verify if the Valet Service is actually authorised by the property you’re visiting. — While handing over the vehicle wait for the valet to approach the driver side of the vehicle and only then leave the vehicle. — If the valet indicates for you to leave the car where it is then turn off the ignition, lock the door and handover the key (leaving the key in the ignition could result in someone stealing it). — Always inform the valet of any issues with the car, such as a particular door lock that needs to be manually closed, the need to switch of A/C, lights before starting up, etc. — Clearly understand where to pick up the car from as the pick-up spot may be different from the drop off point. — Inform the valet that you will need the car quickly even if you don’t. The valet would then park the car in a spot that would enable a quicker removal. — Obtain a proper token and keep it securely. (Valets will hand over the vehicle to anyone providing them the token). — Do not leave valuables in your car. The valet isn’t the only one who could take it; a thief may spot it and break open the vehicle to steal them. — Do not put your house key, office key or any other key on the car key ring. — Do not leave information that indicates where you live or work or direct contact details (envelopes with your address, business cards with your cell phone numbers). — Do not leave the car documents and your identity documents, even copies, in the vehicle. — Do not inform the valet of any security equipment installed in the vehicle. (If the system disables the car go with them to the car and enable it yourself). — Make your key easily identifiable (many car makers provide standard keys that appear alike). — Tip the valet while giving the car, makes a good impression on the valet who’ll likely handle the vehicle better. — Tip the valet on retrieving it, especially if you are using their service regularly, creates a good impression and likely improve handling of the vehicle. — Tip based on conditions (rain, snow, excessive heat wave); remember the valet has to walk to the vehicle. — Do a quick check of the vehicle before accepting it, dispute resolution is easier than once you’ve left the site. Ultimately remember the valet is not necessarily a professional driver. He’s also pressed for time and will weasel his way out of paying for damages that he may have caused if not completely denying that he was responsible for it. Avoid the valet as far as possible, walking doesn’t harm you. If you have a car load of people who may have difficulty in walking the distance then drop them off at the nearest point and head off to park on your own. In case you know the passage between the parking and the facility is insecure then have someone accompany you to and from the area. If you are alone then walk back with someone else who may be parking at that time. Q: What are the security devices and safety equipment required for a vehicle? A: What you should and shouldn’t use or place in the vehicle ultimately is driven by the support, or lack of it, that you may experience in the area you ply your vehicle. Here, however, are some of the useful items that a vehicle should have: — Security alarm. Some insurers have mandated installation or provide a better rate if installed. If minors use the vehicle either supervised or unsupervised make sure you know where the car is to avoid risk to them. Check with your provider on the type of device installed particularly if it is mobile SIM based as in case of a shutdown of mobile services by the authorities the device is disabled. Understand from the service provider in what situations they will or won’t disable a car. Don’t get surprised in an emergency. Multiple types are available at varying costs; choose a device that has unique keys. A professional thief will know how to disable one; however, the tendency to skip a vehicle with a lock is higher as it takes time and increase likelihood of detection. A reflective jacket should be worn when servicing a vehicle during a breakdown at night. A collapsible traffic cone set is important to have to warn other motorists of a stranded vehicle.